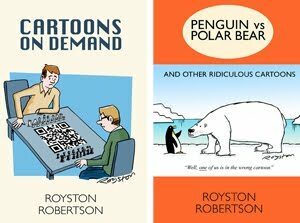 Those of you interested in boating matters may like to know that there's a cartoon exhibition at this year's Henley Regatta, which starts today and runs until July 3. 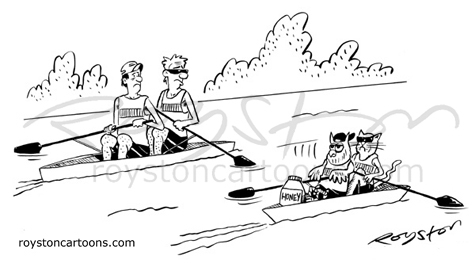 I've got two cartoons in the show, and as I know nothing at all about rowing they are both Owl and Pussycat jokes! The one above, which was in Private Eye, sold when it was exhibited at the Shrewsbury Cartoon Festival this year. So a different version will be on display at Henley. So if you're at the event, and it's "Pimm's o'clock", don't forget to wander over to the art gallery behind the Members' Grandstand to have a look and a few laughs. There's more on the exhibition over at the Bloghorn. Chin chin.